﻿ MRO Powerbike championship. Round 9 – Mallory Park 26th/27th August 2007. MRO Powerbike championship. Round 9 – Mallory Park 26th/27th August 2007. I did loads more damage to my R1 when I crashed it last time out at Cadwell than I thought. Although the R&G crash mushrooms (which were almost worn away as the bike slid so far) saved some really serious grief I still managed to wreck my tank, snap the subframe and rearsets, trash the race bodywork and screen, rip my leathers and total my lid. After two solid weeks of working on the bike it was final ready for Mallory and looking better than ever. 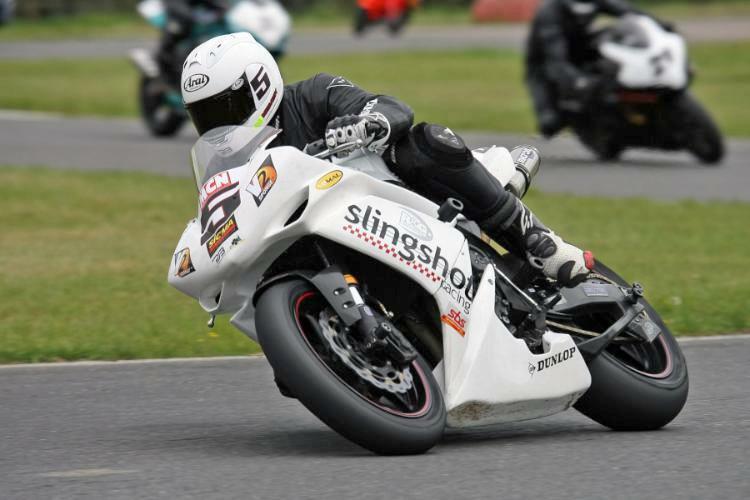 The new bodywork I fitted from Slingshot Racing is the best quality I’ve ever seen and fits so easily and the new Promach rearsets are just plain beautiful. The new rearsets needed a longer rear brake line, so I fitted a new HEL line from B&C Express. I also had to fit a new Fabri screen (from Motrax), then I was ready to go. To be honest I wasn’t looking forward to Mallory as I’ve never raced there before or used the new chicane around Gerards. It’s also getting a bad reputation for being on the dangerous side too. But I’ve got to say that having raced there all weekend and posted some decent results that I actually think it’s ok. The track is pretty grippy and despite the finicky chicanes and hairpin it’s still pretty fast, as the 80-odd mph average lap speeds will testify. Granted, there’s not a lot of run-off in places but unfortunately we don’t live in Spain and have GP-grade tracks like Catalunya, Jerez or Valencia to play on. It was a pretty quiet event for me but the main highlight was not crashing when I highsided out of Edwinas on cold tyres in Race 1. The bike tried to flick me off the same as it did at Cadwell but this time I landed back in the seat and despite running on to the grass and joining almost plumb last I still had a good race. 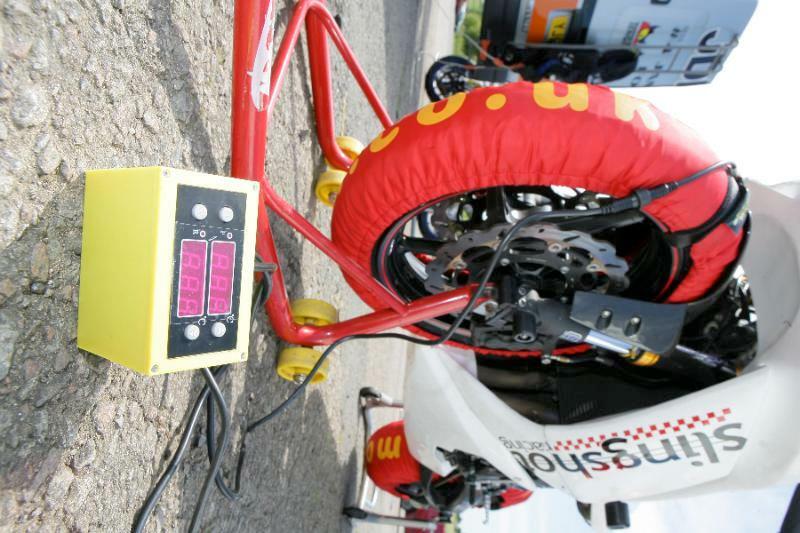 I also used Motrax’s new GP tyre warmers, which have a control box telling you how hot the tyres are. I run them at 80 degrees and it’s good to see them cooking away at the required temperature between races. 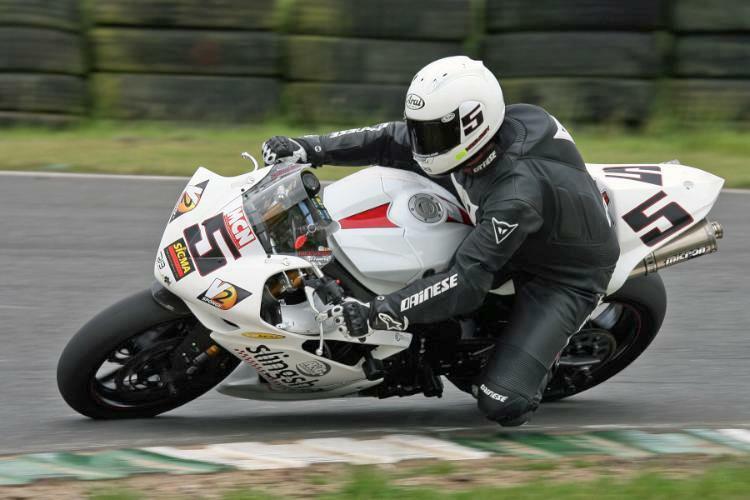 Up front super-fast Kieran Blair and newly crowned Powerbike Champion John Paul Scott shared the victories, with Peter Baker getting a brace of fine third places. Next stop is Snetterton and the final round of the Championship, where I’ll be trying to hang on my fifth place in the standings; I can’t believe the season is almost over already. Ben, Rookie, Trev, Alison, Mark, Tony, Bruce, Andy, Exit Racing. Engine: Std motor with Micron full exhaust system, set up by BSD using a Dynojet Power Commander. 169bhp at the rear wheel. Regina chain and Renthal sprockets. Dynojet Quickshifter and Sigma slipper clutch. Chassis: Maxton rear shock and fork re-valve. Ohlins steering damper. Galfer wavy discs and standard Yamaha calipers, SBS Dual Carbon brake pads and HEL braided lines. 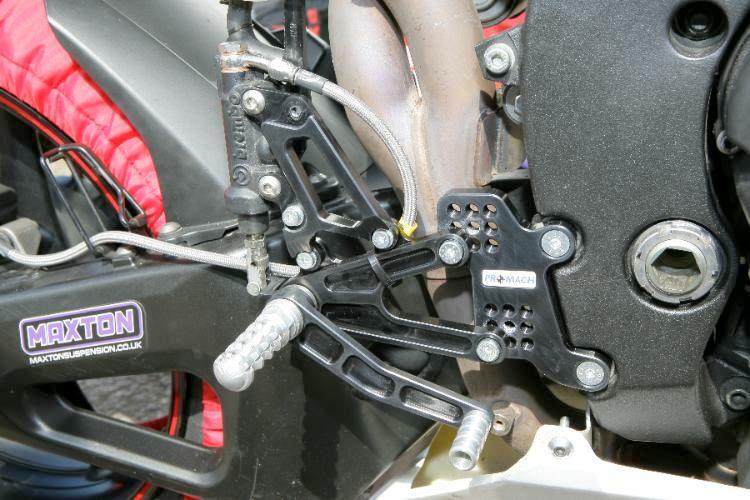 Standard Yamaha levers, Gilles rearsets. Pattern fairing, screen and tail unit by ANR UK. Stomp tank pads.